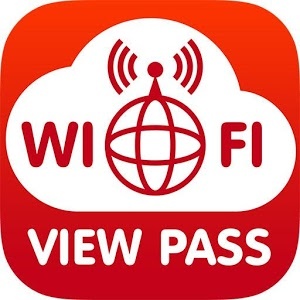 * WiFi Master Key password recovery is the best app to recover the lost password of your connected WiFi network that you have connected at least once to your device. * Real time speed update in status bar and notification. * Daily traffic usage in notification. * WiFi Password Recovery – Speed Test, the most powerful internet speed meter, with the most accurate report, tests WiFi speed in seconds! It supports speed test of WiFi hotspots and GPRS (2G, 3G,4G). * Test the Download and Upload Speed and Ping of WiFi Hotspots on dsl, adsl, cable connections. * You can find the lost password that you have lost or not remember now. * One tap speed test makes it possible to get Internet speed test result within 20 seconds. So, you could get the result of WiFi speed test as soon as you want. It is a fast internet speed meter. You can test speed in one tap. * Internet Speed Monitor helps to scan security of the connecting WiFi hotspot. It could scan WiFi security of the WiFi connected. * You must have to connected to the network in the past with this device. * This is very simple app with user friendly interface. WiFi Password, one tap to test speed and get the network speed. So, it is convenient to get the results of 4G/3G and WiFi speed tests. Internet Speed Monitor, scan security of the connecting WiFi.